Email has become so popular that, in some cases, people use it more often than the telephone. Because the written word can so easily be misunderstood, understanding proper email etiquette is essential in the business environment. Unfortunately, many people don't understand how to use email to their advantage, and the benefits it can confer to a business often are missed. 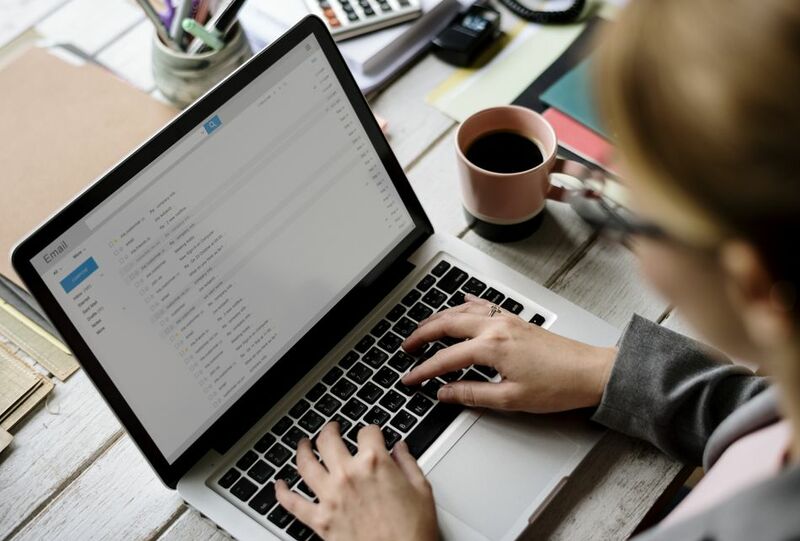 The following business email etiquette rules can help your employees to compose emails that are efficient and effective. The first rule of good email etiquette is to avoid long-winded emails that contain extraneous information and irrelevant facts. Stick to the subject being communicated and use as few words as possible. If you need a decision, ask for it. If you need information, ask for it. If you want someone to take an action, ask for it. Don't make your readers wonder why you are contacting them. When you compose an email, think of it as a work of nonfiction. Do not make it a mystery. Never leave the subject line of an email blank. A blank subject line may get your email flagged as spam, and it will never reach its destination. Emails with blank subject lines also often go overlooked, particularly if the intended recipient typically receives many emails on any given day. Always use a subject line that adequately reflects the contents of your email. It will help your recipients sort through their emails more efficiently and will encourage a quicker response to your email. Send emails in professional formats. Avoid multicolored fonts and pictures for backgrounds. Those accouterments may distract the reader or make the message difficult to read. Any background images you add may bloat the file size of your email. That may force recipients with slow connections to wait an agonizingly long time for your message to download.ny background images you add may bloat the file size of your email. That may force recipients with slow connections to wait an agonizingly long time for your message to download. If your company insists that you use particular email stationery to project a consistent look and feel, take advantage of it. The company logo and the signature line can project a professional image onto your emails. Don't make people wait for timely replies to their email. Respond promptly with a clear, concise message. If you need more time to research an answer or gather more information, tell your email sender when they can expect a reply. If you are going to be away from the office and unable to read your email, use the email system's out-of-office tool to automatically respond to anyone who tries to contact you. Make sure your auto-reply lets senders know when they can expect to receive a response. Most email systems allow you to flag an email as "High Priority" or "Rush." Do not make this your default email flag. Use it sparingly, or your recipients will ignore the priority flag. When you finally send a genuinely important email, it won't get the attention it deserves. Don't instinctively click the "Reply All" button for every email that has multiple senders or recipients. Consider the subject and decide who needs to read your reply. Continually responding to everyone unnecessarily will quickly earn you a reputation as a "business spammer," and people may begin to ignore your emails altogether. Unless it's an emergency, never use your business email for personal correspondence. Even if you own your own business, it is a good idea to have two separate email accounts. It will allow you to prioritize your emails and keep unrelated personal messages out of the business network. Use your own name as part of any business email address. For example ​james.bucki@example.com, or jbucki@example.com. Avoid nicknames, handles, monikers or obscure references. For example, do not use soccer.mom@example.com or baseball.nut@example.com. Is Email the Best for This Response? Don't use email as your only communication tool. Not all messages are email appropriate, and there will be times when a short telephone call or a brief office visit can be a more effective way to convey a message. Meeting or talking over the phone can introduce a human element into interactions, and that can make all the difference when you're trying to explain something, or you want to persuade someone to take an action. Never use email to terminate a relationship or contract. In professional business correspondence, always include a signature line that provides alternative ways to contact you. For example, you might include your office, fax, and mobile phone numbers, and your office mailing address. You never know how or where your recipient will be accessing their email. Mobile devices may start downloading the file before asking the user to confirm the download. It could take a long time and consume bandwidth that the recipient must pay for. Keep the combined size of attachments under 50MB. If you must send a large file, contact the recipients first and ask how they would like to receive the file. You also use a file transfer service to send the file. Finally, take a moment and consider what you have written before you press the "send" button. Is it something that should not be sent in an email? Is it of a personal nature and not appropriate to use the company's email system? Did you write the email while angry and included passages you may well regret later? If so, press the "delete" button.